I know what you're thinking! How can she be posting about sweaters when it's still Summer?! Well, Fall is one of my most favorite seasons and the very beginning of it is the best because a cozy sweater is all you need to keep warm. I've come across some great ones to share. It's never too early to plan out your fall wardrobe. This sweater is one of my favorites from the bunch. 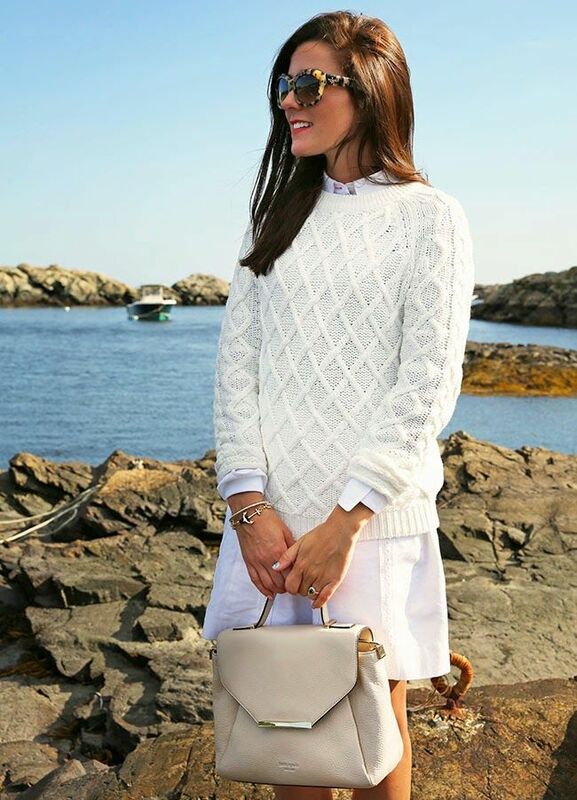 I love the cable knit look and this one is lightweight enough to wear almost year round. 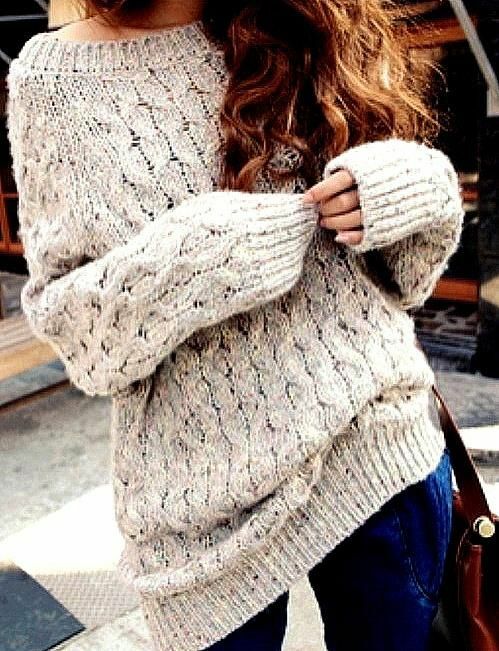 This chunky oversized sweater is great to wear with jeans or a skirt. I'd probably even slip this over a maxi dress to transition it into my fall wardrobe. This is more of a sweater coat but I love the look of it with a thick scarf. I also love the leopard clutch, too! This pretty sweater would look great with a pair of skinnies or leggings. I love the fringe edges. It's so classic! Thanks for joining me this week! Have an awesome weekend! Seriously, I'm right there with you! I can't wait for cooler weather! Sweater weather is my favorite! I have already pulled out my sweaters and have been wearing them for the past week. I can feel fall coming! I love the cool weather for wearing sweaters and layers, but we are still experiencing 100*, it will be awhile but I always look forward to it. Weather dreadful here in London so definitely not too early for sweaters! I love the first sweater. Goes with almost everything! This post is like my Pinterest Account in a blog post! :) I love these cost pictures, and yes, they absolutely make me want Autumn to come sooner! !